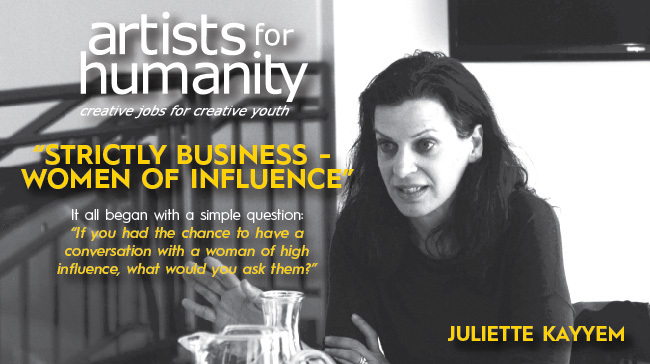 For the past year, young women at Artists For Humanity (AFH) have been working on “Strictly Business – Women of Influence,” a project profiling women as decision makers in today’s society. Through “Strictly Business” AFH provides an opportunity for young women to engage in a dialogue with women across a variety of industries, to hear first hand stories of success, and to give them access to positive role models, with the aim of inspiring them to become their own advocates and to advance their future. Check out their bi-weekly online publication.